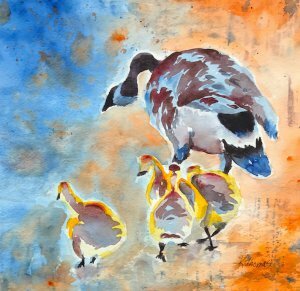 The West Texas Watercolor Society 2019 Spring Membership Show features talented water media artists exhibiting and selling their beautiful watercolor and acrylic art works, which range in style from abstract to photorealistic. In addition the artists will be competing for merit awards as judged by artist Shawn Kennedy. This exhibit is made possible in part through a grant from the City of Lubbock as recommended by Civic Lubbock, Inc.